Allison Vernerey's first year playing basketball abroad has already seen her pick up a conference title with Duke in the ACC conference. She was also named in the ACC rookie team alongside Diandra Tchatchouang (Maryland). That is not all, Vernerey's work as a student has been recognised when she was named in the ACC conference All-ACC Academic team. 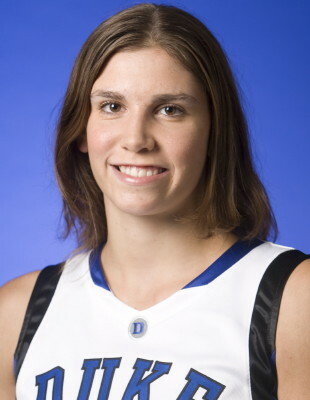 Joanne P. McCallie, the head coach of Duke Women's basketball team, better known by the name of Coach P became the first division 1 coach to win four conference titles: North Atlantic (1995, 1996), America East (1997, 1998), Big Ten (2005) and ACC (2010). That is not all, Coach P had coached the U21 Women's National team to the world title in 2007. As Vernerey and Coach P both prepare for the first round of the NCAA tournament (Big Dance), they took some time of their busy schedule to answer a few questions about each other and their conference title. Vernerey also gave a little insight on the key element that enabled Duke to beat Maryland. Coach P explains that she has not seen too many people like Allison. As a player she has progressed in every way possible. Allison is focused on everything that she does, deals with the new adventure at university as a freshman student athlete and has come up big in many games. On the lighter side they have had plenty of laughs when it comes to language, culture and pre-game meal eating rituals. They even have time to speak about her family. Coach P finishes the interview by explaining what the ACC conference title means to her and to the current and former players. Vernerey is one of two French players playing college hoops this season that is heading to the Big Dance. The other player is Jessica Periago from Nebraska. Vernerey speaks in French during the interview and explains that the funniest moment she had with Coach P was when she came to visit her in France. She chuckles when she remember what a shock it must have been for Coach P to come from the big city in the United States to her small village with a population of about 200 people. Three times this season, Vernerey and Duke faced Maryland with Diandra Tchatchouang, her international team-mate. As nice as it was to play against her friend, she believes the key to victory is the ability of her team to win the battle of the boards and play hard against a robust team for forty minutes. She adds: "It is such a great feeling to win the ACC conference title, especially for me that has just arrived." Vernerey goes on to explain that the title is a motivation factor for the rest of the season and the future. For Vernerey's full interview in French you can click on the button below.